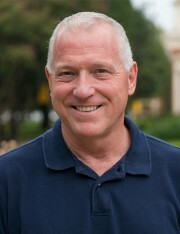 Randall Bradley joined the Baylor community in the Fall of 2000 where he became the Director of the Church Music Program. In addition to teaching graduate and undergraduate courses in church music he is the Ben H. Williams Professor of Music and Director of the Center for Christian Music Studies and directs the Baylor University Men's Choir. Previously, he taught at Oklahoma Baptist University (Shawnee, Oklahoma) and Midwestern Baptist Theological Seminary (Kansas City, Missouri). He has also taught elementary and secondary music in public schools in Alabama and has been a minister of music since 1978, having served churches in Alabama, Oklahoma, Missouri, and Texas. He received the BME Degree from Troy State University (Troy, Alabama), and the MM Degree in Conducting and the DMA Degree in Church Music from Southwestern Baptist Theological Seminary (Fort Worth, Texas). Dr. Bradley received Kodaly Certification and Level I Orff Certification at the University of North Texas (Denton, Texas). He has led conferences in many states and internationally on church music, music education and conducting. Choirs under Dr. Bradley's direction have performed for such groups as the Baptist Church Music Conference, Oklahoma Music Educators Association, Cooperative Baptist Fellowship, and the Southwest American Choral Directors Association. He has conducted Baptist All-State choirs in Kentucky, Oklahoma, and Texas and has participated in the Robert Shaw Choral Workshop in New York. He has served Oklahoma Choral Directors Association as President Elect, as Southeastern Representative, and as Repertoire and Standards Chairperson for Church Music. 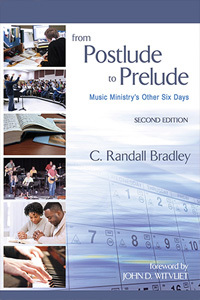 Dr. Bradley has published numerous articles related to worship, church music, and music education. 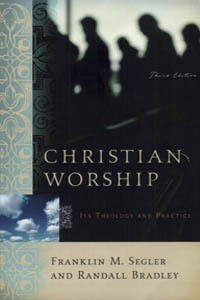 His books, Christian Worship: It's Theology and Practice and From Postlude to Prelude, are popular resource books for ministers and are used as textbooks at numerous seminaries and colleges. 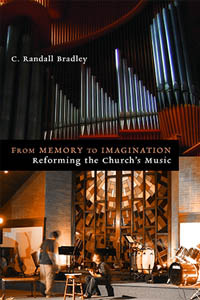 His newest book, From Memory to Imagination: Reforming the Church's Music, was published by Eerdmans in September 2012. Dr. Bradley is married to Brenda, a Professor of English at McLennan Community College. They have two children, Hannah and Isaac.